The early development work involved talking to a range of people across North Yorkshire who were involved in local forums and looking at different models of participation and factors for success. Discussion focused on the need for a Forum in the Harrogate District and the decision was made to consult older people. Intensive development work went into the consultation with older people in the Harrogate District during January and February 2012. The survey had good coverage and reached some isolated older people as well as more active citizens. The launch event took place on July 17th at the Cedar Court Hotel in Harrogate and was run in partnership with North Yorkshire Forum for Older People, with the help of colleagues working in other local agencies. The first meeting was held on 7th August 2012. The group has a terms of reference and a revolving chair and agreed the work plan for the next 6 months leading up to the Annual General Meeting. 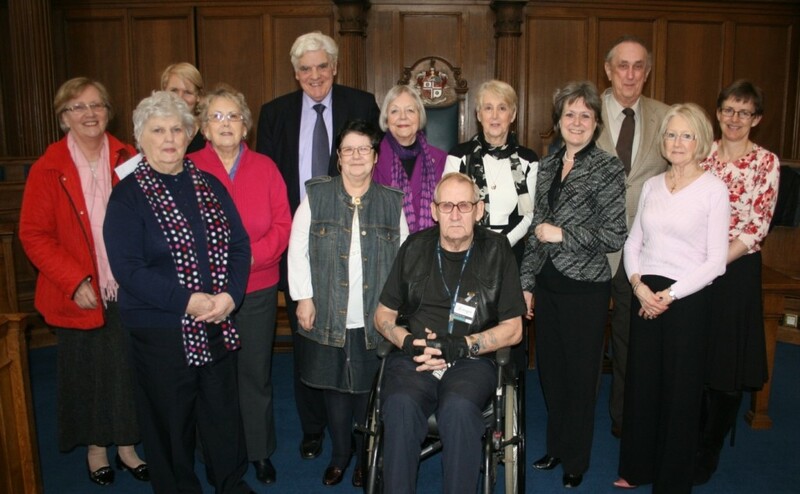 The meeting started with a minute silence for Christine Dobson, who passed away on March 18th 2013. Christine was one of the founder members of the group and its success is due in part to her enthusiasm and commitment. Attending to support the new group were the Deputy Mayor and his wife, Councillor and Mrs Ian Galloway, Harrogate District Older People’s Champion Councillor Bernard Bateman, Older People’s Champion for North Yorkshire Councillor Shelagh Marshall, Chief Officer of Age UK North Yorkshire Alex Bird and Karen Weaver, Chief Executive of Harrogate & Ripon Centres for Voluntary Service. Councillor Bateman gave his wholehearted support to the Forum and said that he was impressed that it had got so far, so quickly. He said that the Forum was one voice speaking for older people who are not already involved in other organisations. A Question Time style Q&A session with Councillors Bateman and Marshall and Karen Weaver raised many of the issues that are faced by older people including isolation and loneliness, access to transport, lack of internet access and access to information. It wasn’t all business though, as the Forum is also a chance to catch up with people over a cuppa and cake and is always looking for people who have ideas for activities and who are interested in joining a social events group. The Forum wants to link with other older people’s organisations on areas of joint concern and of joint interest.